Afternoon Shikara tour on Dal-Lake. 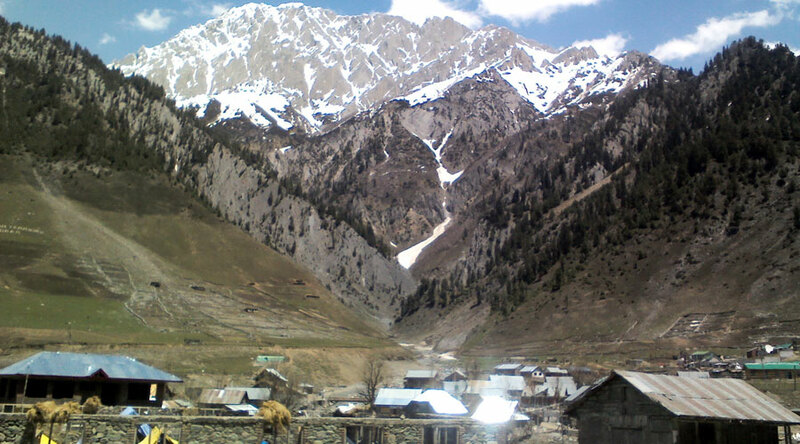 Full day tour to Pahalgam (95 Kms Elev. 7500 ft. approx 2 hours drive) en route visiting Awantipore Ruins. Return in the evening to the Houseboats. Full day trip to Wular & Manasbal lake (100 Kms. Elev. 5400 ft. approx 2 hours drive) en route visiting KheerBhavani Temple. Full day tour to Gulmarg (50 Kms Elev. 9100 ft. approx 1½ hours drive) or Yusmarg (50 Kms. 8600 ft. 1 ½ hours drive) en route visiting typical farmer villages, return in the evening. Full day trip to Sonamarg (100 Kms Elev. 9200 ft. approx 2 ½ hours drive) the Glacier valley. Return in the evening. Full day trip to Aharbal waterfall. Overnight at the Houseboat. Transfer to Srinagar Airport .